CITES Appendix I. The Helmeted Hornbill Working Group was created in September 2015 to bring attention to the crisis affecting the species (Collar 2015, Jain et al. 2018). In Thailand, poachers have been encouraged to become hornbill observers and guides for tourists (Hii 2015). The escalating demand for and trade in the species prompted the adoption of a resolution (WCC-2016-Res-009) on The Conservation of the Helmeted Hornbill at the IUCN World Conservation Conference (WCC), urging international action and support for local conservation efforts and calling on governments to address legislative, policy or enforcement gaps and enhance awareness of applicable laws (Jain et al. 2018). At the 2016 CITES CoP 17 (Johannesburg, South Africa) the resolution on the Conservation of and Trade in Helmeted Hornbill (Resolution Conf. 17.11), a revised resolution initially proposed by Indonesia, was adopted by consensus in Plenary. One of the outcomes was the preparation of an Action Plan, which was prepared by under the auspices of the Helmeted Hornbill Working Group and was published in August 2018 (Jain et al. 2018). A project to identify key sites and create a roadmap for enforcement activity for the species commenced in 2018 (A. Jain in litt. 2017). Urgently enforce legislation to prevent illegal hunting. Support livelihoods in forest communities, so that the incentive to poach is minimised. Monitor populations across the species's range to determine the magnitude of declines and rates of range contraction. Monitor the impact of hunting pressure on populations. Campaign for the protection of remaining tracts of lowland forest throughout the range. This species is confined to the Sundaic lowlands, where it is known from south Tenasserim, Myanmar, peninsular Thailand, Sabah, Sarawak and peninsular Malaysia, Singapore, Kalimantan and Sumatra, Indonesia, and Brunei (BirdLife International 2001). 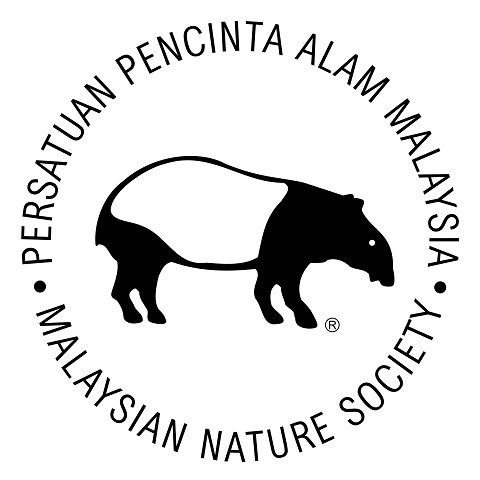 It is generally scarce, occurring at low densities even in optimal habitat, and is is the least commonly encountered of the forest hornbills in peninsular Malaysia (D. L. Yong in litt. 2016). The population size of this species has not been quantified. In prime habitat, the density varies from 0.19 to 2.6 individuals per km2 (references in Jain et al. 2018). However, populations subjected to even low hunting pressure have been demonstrated to have greatly suppressed densities, e.g. 0.3 birds per km2 (Johns 2004). Current hunting pressure is far higher than reported in that study (Jain et al. 2018). 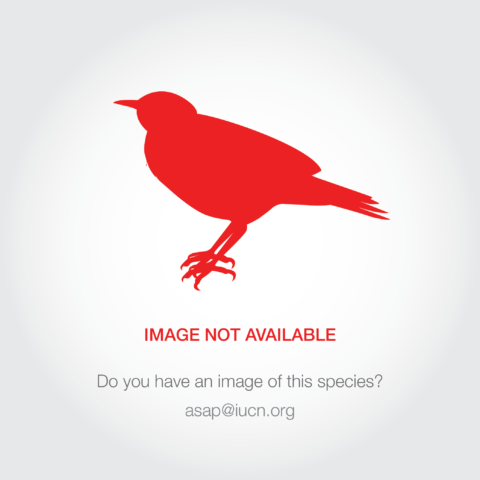 The species is heavily targeted by hunters and illegally traded. The species has a solid horn or casque on the upper side of its beak, which is highly prized. China is the biggest consumer of the casques, which are often carved for decorations or used in traditional medicine (Hughes 2015). 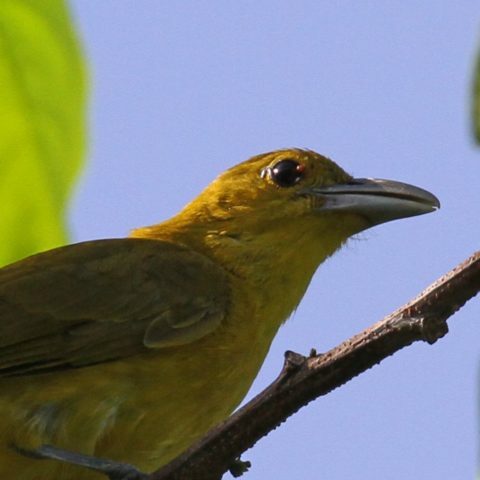 Currently, the trade in this species is centered on Indonesia, but will likely move to Malaysia once the supply of birds becomes limiting in Indonesia (S. Mahood in litt. 2015). Between March 2012 and August 2014, 1,117 heads/casques were seized in Indonesia during enforcement actions, and in the same period 1,053 heads/casques were confiscated in China (Beastall et al. 2016). It has also been recorded in trade in Laos (EIA 2015). 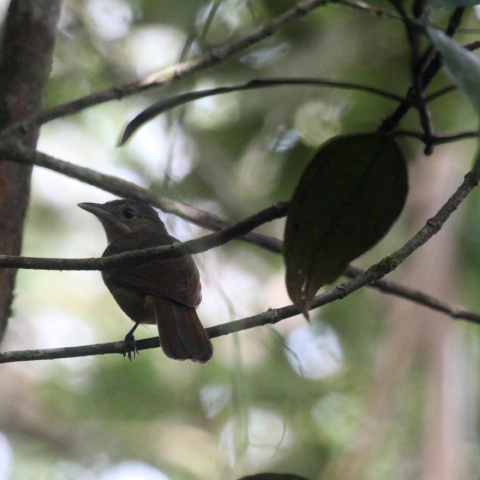 Large numbers of hunters have been observed in the forests of Sumatra searching for this species (J. Eaton in litt. 2015), and in June 2015 a group of around 30 hunters was broken up in northern Sumatra (Hughes 2015). The trade network is thought to be largely managed by organised crime. This means that trade pressure is likely to continue, eventually reaching every part of the species's range, and will be very difficult to control (N. Collar in litt. 2015). Many traders seized have also been involved in the trade of other high-value wildlife such as Sumatran Tiger Panthera tigris sumatrae and Sunda Pangolin Manis javanica (Beastall et al. 2016). In West Kalimantan, it is thought that as many as 500 birds were being killed every month in 2013, resulting in an annual loss of 6,000 individuals (Y. Hadiprakarsa in litt. 2015, Hii 2015). There is no information to suggest that such levels of exploitation should be any different in other Indonesian provinces; indeed trade in hundreds of birds per month from Sumatra has been reported within the last year (N. Collar in litt. 2015). Owing to the species's breeding behaviour, hunting is likely to have a particularly severe impact: Breeding involves the female being incarcerated for c.160 days, while the male provisions the female and nestling in the nest. Although the female will break out of the nest should the male stop providing food, she is likely to be in heavy moult and her ability to survive will be seriously compromised. Thus, the killing of the male could lead to the subsequent death of both the chick and the female (Collar 2015). In addition to hunting the species for its casque, it is also targeted for its feathers. Although this trade is small, it exerts an additional pressure, which is also likely to contribute to population declines (Collar 2015). An analysis of remote sensing data on forest loss has estimated that the total area of forest within the species's range has decreased from c.643,000 km2 in 2000 to c.565,000 km2 in 2012, a loss of c.12% (Tracewski et al. 2016). Assuming that the rate of forest loss is constant, this represents a loss of c.25% of forest habitat within the species's range across three generation lengths (26.1 years). Rates of forest loss in the Sundaic lowlands have been extremely rapid, owing partly to the escalation of illegal logging and land conversion, with deliberate targeting of all remaining stands of valuable timber including those inside protected areas. Perhaps a crucial additive factor is that logging has created access to a much greater percentage of the species's range, enabling hunters access to virtually the entire population. The species is generally confined to lowland and lower-slope forest up to an elevation of 750 m, which is targeted for conversion to oil palm and logging for timber (N. Collar in litt. 2015). The species has specific nesting requirements, using the largest trees and apparently requiring trees with nest holes topped with a perch for the male to use while provisioning the female (Jain et al. 2018). Logging is therefore likely to significantly reduce available nest sites. As a fig-specialist, it is also likely to be strongly affected by loss of fig trees due to logging (Meijaard et al. 2005). Forest fires have also had a damaging effect and are exacerbated by fragmentation (Cochrane 2001).